We would like to take this opportunity to thank you for coming to our house to give us an estimate on our gate and fence. We regret that we did not utilize your service for financial reasons. Your professionalism, product knowledge and straight forwardness was very impressive. Wishing you continued success! I want to sincerely thank you and your team for a job well done on the pool safe fencing and gates installed at my home. To my surprise, your quote was very competitive with the non-licensed fencing company that my neighbor's had referred me to, but there were a few things . . . 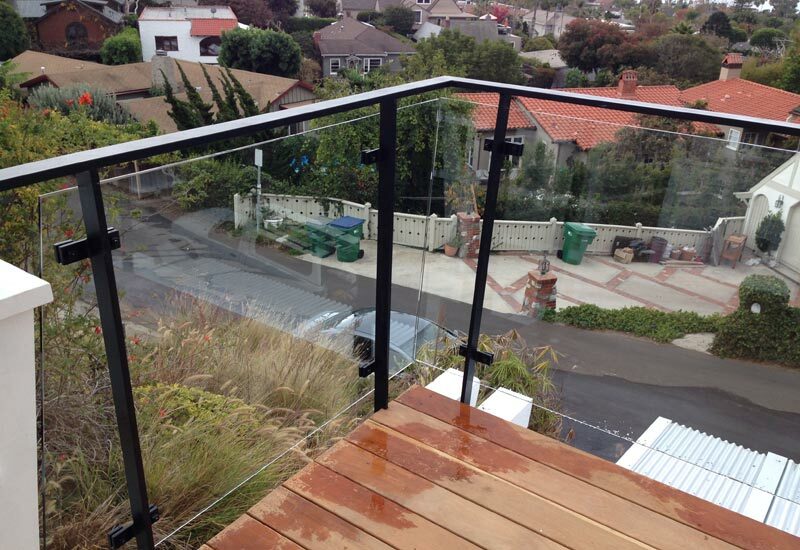 This modern rustic balcony deck railing in Laguna Beach, CA incorporates a combination of iron and glass materials. The iron glass balcony deck railing complements the house without hiding the view. Welcome to Angels Ornamental Iron Inc. 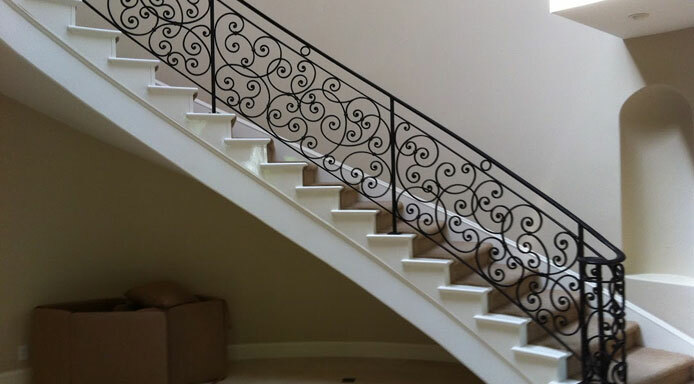 Welcome to Angels Ornamental Iron Inc., Southern California's trusted source for custom iron works. 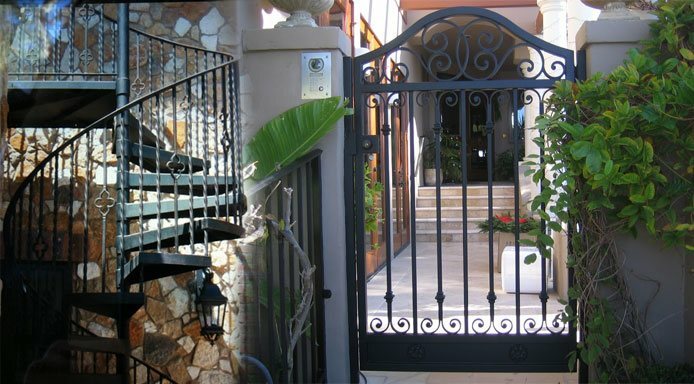 We specialize in creating ornamental and wrought iron fences, gates, doors, staircase railings, and accent pieces. With over 17 years of experience, we've served thousands of clients from San Diego to Monterey. 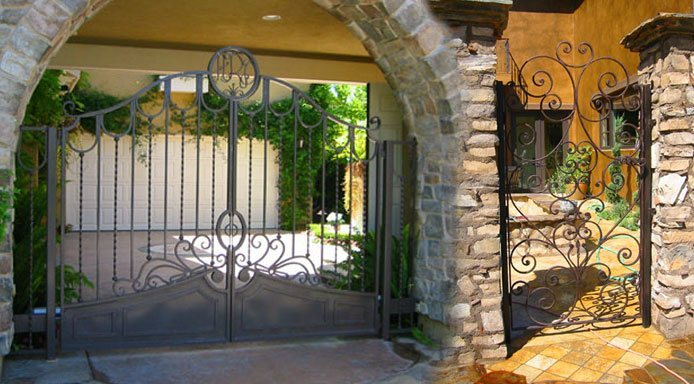 We pride ourselves on producing beautiful iron work, ranging from classic (Spanish, Tuscan, and French) to modern styles, at very reasonable prices. Unlike some of our competitors, all of our consultations and sales are made by our owner. So, you always get completely personalized service and factory-direct pricing. He'll work with you to pick a style that fits with your home or business, taking into consideration your property's layout and the surrounding decor, thus ensuring a cohesive appearance. Further, our owner maintains quality control both in the metal shop and on site. As such, our clients can be confident that what's promised during the sale is what they'll receive when the job is complete. 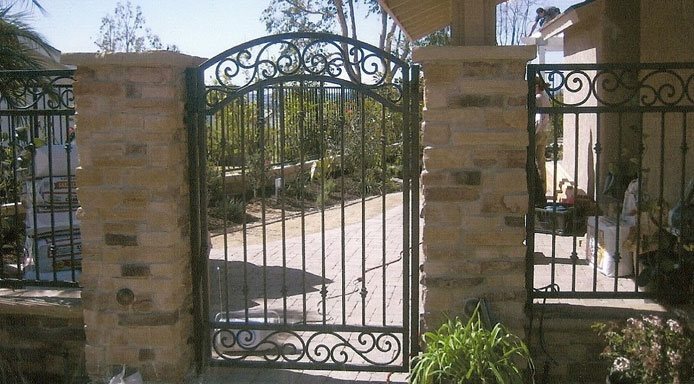 Whether it's an automated iron gate with intricate scrollwork or a new pool fence constructed to code, Angels Ornamental Iron Inc. creates timeless ironwork that is long-lasting and highly durable. To ensure a better-made iron product, our expert fabricators work with high-quality, cold-rolled steel that is hand forged and welded on all four sides (creating a "circular" or complete weld). Then, we clean all of the iron before applying primer, paint, and/or finish. 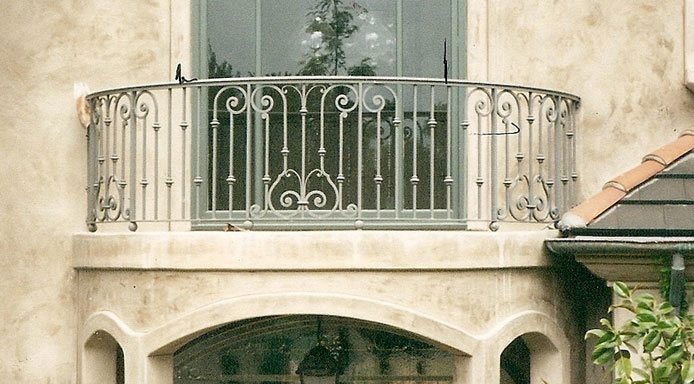 Whenever possible, we double-prime our ironwork and use oil-based paint. We also encourage metalization for optimal protection against rust. While our methods are meticulous, we always finish each job well within the timeframe promised. To verify the quality of our work, we provide frequent updates, send photos and videos of our work progress, and invite our clients to visit the shop. Call us today to schedule a free on-site consultation and estimate. Angels Ornamental Iron Inc. is licensed, bonded, and insured. We provide a one-year warranty on workmanship and installation, and comply with all relevant building and city codes. Based in Orange County, California, we serve all of Southern California, from San Diego to Los Angeles.